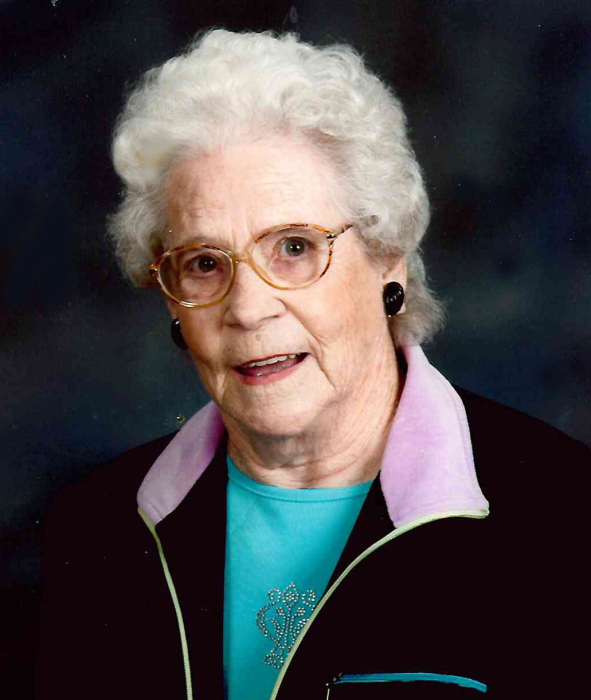 Dolores Adealine Strickland-Baldwin-Petersen, 94, of Strawberry Point, Iowa, died on her birthday, March 19, 2019, at the Strawberry Point Lutheran Home. She was born on March 19, 1925, in Fowler, Colorado, the daughter of Clarence and Lydia (McCumber) Strickland. Dolores was raised and educated near Boone, Colorado. Dolores was united in marriage to Samuel Baldwin on September 1, 1944, and they made their home in Colorado, eventually moved to Onamia, Minnesota, where they managed the Lutheran Church Camp for several years. They moved back to Colorado in 1978. Dolores returned to school and earned her LPN degree. She worked at several VA Hospitals in Las Animas, Colorado; Albuquerque, New Mexico; and Sioux Falls, South Dakota. Samuel died in May 1986. On February 12,1989, Dolores married Lyle Petersen. Together they lived in New York Mills, Minnesota. After his death in 2000, she stayed in Minnesota, until 2012 when she moved near her family in Strawberry Point. Dolores was an excellent quilter, enjoyed crafts, liked traveling, and volunteered at her church. She was also an excellent cook. Survivors include seven children, Samuel (Deanna) Baldwin of Bermuda Dunes, California, William (Bonnie) Baldwin of Keystone Heights, Florida, Larry (Lynn) Baldwin of Fort Davis, Texas, Clark (Shiloy) Baldwin of Strawberry Point, Joyce (Mark) Holtzclaw, of Bakersfield, California, Lucille Tietz of Denver, Colorado, and Ted (Kristi) Baldwin of New York Mills, Minnesota; eight step-children; ten grandchildren, Clayton Baldwin, Steven (Allyson) Baldwin, Mishelle Baldwin, Bill Baldwin, Sara (Jody) Adams, Bradley Holtzclaw, Jared (Amanda) Baldwin, Jill (Dan) Wagner, Esther Guevera, and Ginnai Baldwin; and several great-grandchildren, step-grandchildren, and step-great-grandchildren. Dolores was preceded in death by her parents; her husbands, Samuel and Lyle; a son, Clint Baldwin in 1977; two grandchildren, Tony Baldwin and Robert Guevera; and nine siblings, Madelyn Rathbun, Dorothy Richards, Clifford, Elmer, Milton, Dale, Don, Bill, and Charles Strickland.